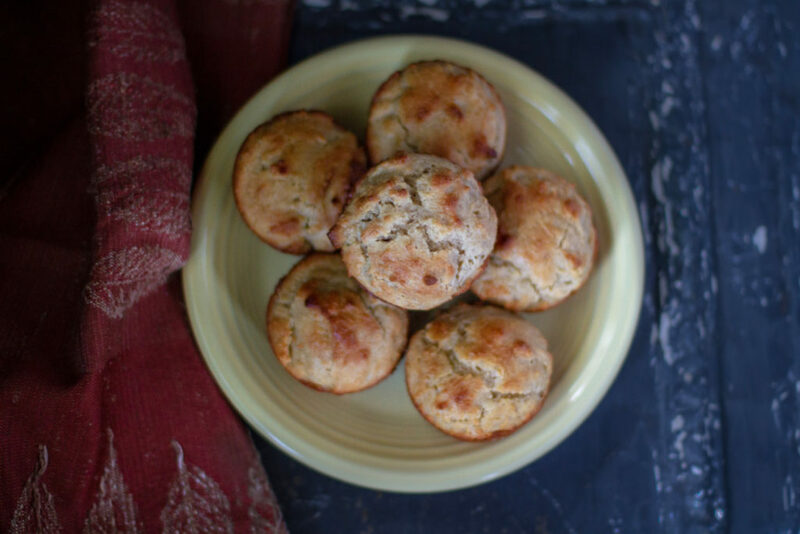 I have to say these muffins are among the best baked goods I’ve made with almond flour. I think the key is using cold butter and cold eggs, and not over-handling the dough before getting it into the oven. If you don’t have a nut allergy, almond flour for baked goods is a delicious option whether you need to eat gluten-free or not. Plus, it’s packed with protein and dietary fiber. That means these muffins are filling and good for breakfast or as a mid-morning snack. Just a tablespoon of local honey gives them a little sweetness and a touch of cinnamon provides a flavor boost. Instead of dirtying multiple bowls, I prepare everything in the food processor, so it is a relatively minimal clean-up. You can easily whip up a batch or two of these muffins ahead of time and freeze them. In a food processor, pulse almond flour, baking powder, cinnamon and salt for a few seconds. Add the cold butter until crumbly. In a bowl, whisk the eggs. Add to the flour mixture, along with the honey. Pulse in the food processor until the batter comes together.